Japan's Prime Minister Shinzo Abe says he's determined to settle the country's territorial issue with Russia and conclude a peace treaty. Abe was speaking in Tokyo at an annual national rally to demand the return of four Russian-held islands. Japan claims them. The event was held on Thursday, Northern Territories Day. A Japan-Russia treaty signed on February 7th, 1855, recognized the islands as belonging to Japan. Japan's government maintains that the islands are an inherent part of the country's territory. It says they were illegally occupied after World War Two. Abe said at the rally that although it's not easy to settle problems left unresolved more than 73 years after the end of the war, the issue must be resolved. He said he will strongly push for joint efforts with Russia so Japanese and Russian people can deepen mutual trust and find a solution acceptable to both. 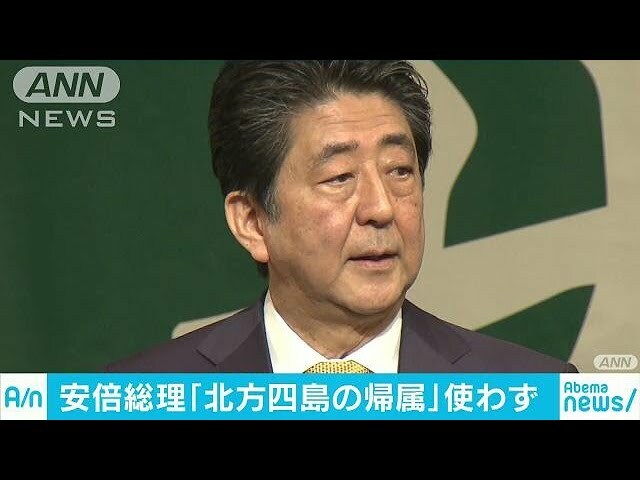 Abe said he'll continue negotiations on the basic principle of settling the territorial issue and concluding a peace treaty through such efforts. In the past, Abe used the expression "resolving the issue of the attribution of the four northern islands and concluding a peace treaty." But this year, he omitted the word "attribution." A statement of appeal adopted at the rally also did not contain the words "illegally occupied," which were included in past statements. The changes were apparently made in hopes of advancing bilateral negotiations amid recent moves in Russia against handing over the islands.